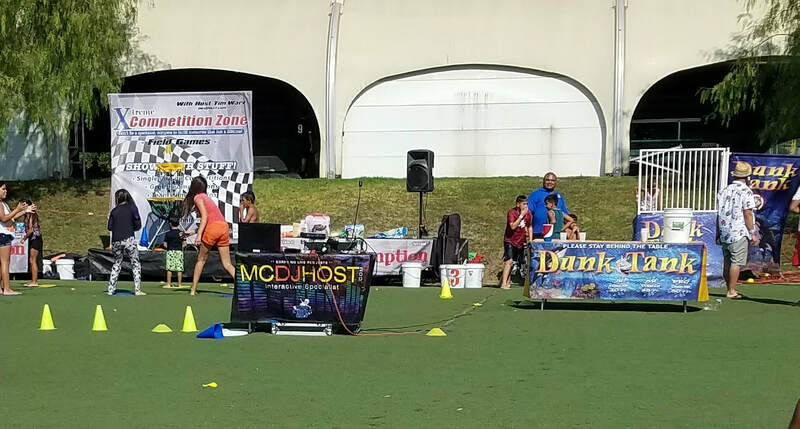 Dunk Tank - Interact Event Productions - Corporate Event Planning at Wholesale Prices! 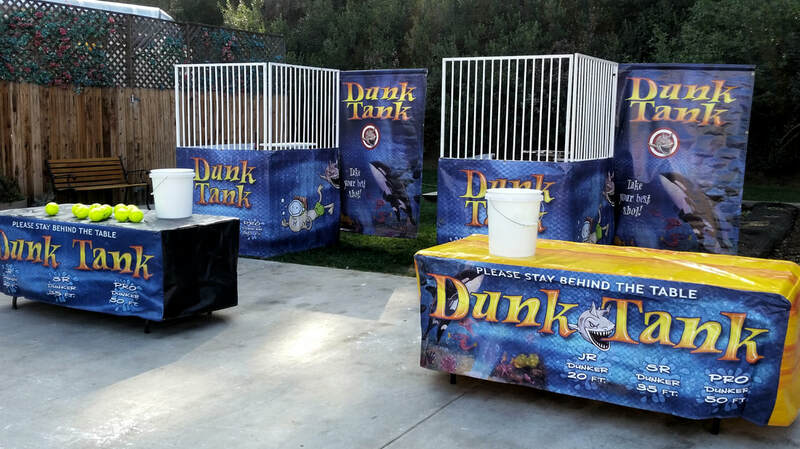 Our dunk tanks are utilized for a variety of events. 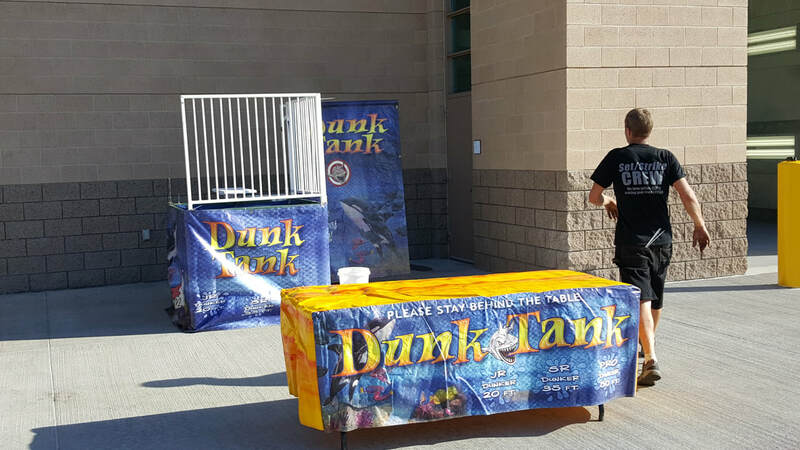 From church fundraisers to charity event fundraising, you can use the dunk tanks for just about anything you can think of! Dunk tanks are also used heavily at carnivals. Sometimes the dunk tank can be your leading money generator. We take all the proper safety precautions that other companies don't even take into consideration. Our dunk tank rentals are safe, professional and very attractive. Ours comes with the tank, signs and flagging so you can have a professional looking carnival booth or picnic area! The custom signs that are provided with our dunk tanks always look attractive attract more visitors to them.